The Mario Party series has developed kind of a bad reputation through the years. It’s been known as the ‘friendship ruiner’ due to it’s high stakes competition that tends to rely more on chance and far less on skill, causing arguments and pointing fingers among friends. “You stole my star!” “Why did you target ME and steal all of MY coins?!? !” “That mini-game is so cheap – I totally should have won!! !” If you haven’t heard yourself or one of your friends exclaim this or something similar in a fit of anger during a Mario Party game, well… you probably haven’t played it enough. The ‘friendly’ competition has never stopped me from buying every edition of this game as they are released. I just noticed that I have fewer friends to play with each time a new Mario Party comes out. This game is #11 and it seems like Nintendo understands my struggle. Nintendo must have realized that Mario Party is ending friendships, so they are trying to make the game-play more amicable by adding new characters and game modes to try out. 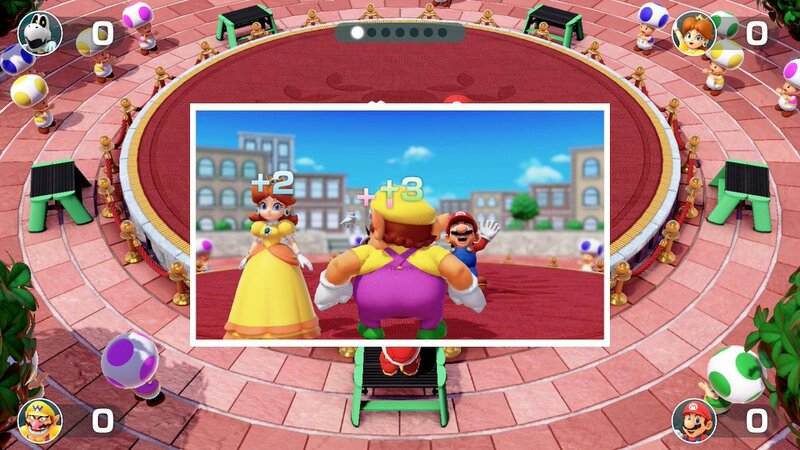 In addition to the classic board game Mario Party format that we know from the franchise, Nintendo has added Partner Party team play, which allows you to team up with a partner and move more freely around the board to collect coins and stars. The team play includes 2 vs 2 mini games, and it does help to actually COORDINATE with your teammate to help you succeed. Which was tricky for me, seeing as I am playing all alone with AI computer players. 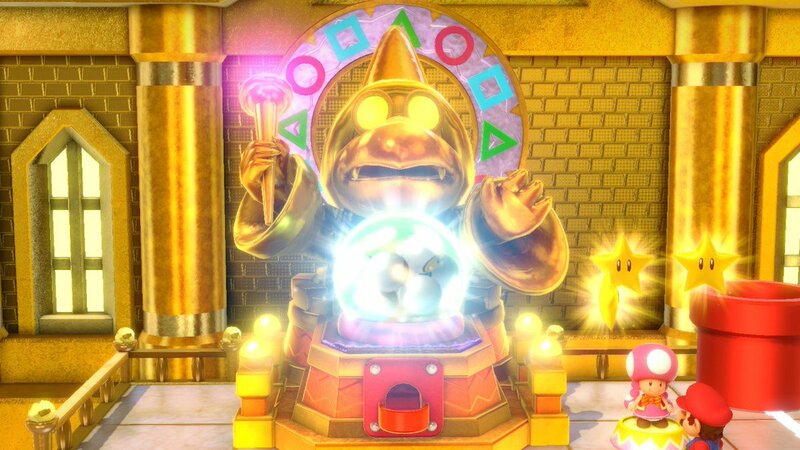 Kamek has a golden mystery board waiting if you clear the first three boards!! So I haven’t played the Partner Party too much yet. Another mode that was added is the River Survival mode, which is a 4 player co-op game. You and your team have to make it down the river rapids, avoiding obstacles and adding time to the clock by completing mini games. However, there’s only a handful of co-op mini games so you end up repeating them after a while. This mode is pretty fun though, and you use your joy con to row your oar in the raft so you can control the steering. But of course, playing with AI computer partners isn’t ideal, so onto the next mode! 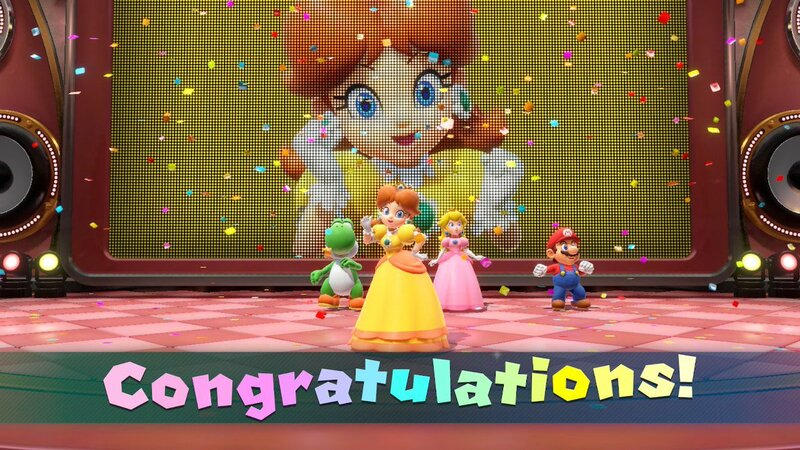 So glad to have Daisy as an option in Super Mario Party! Love her! Sound Stage is a new rhythm game mode that has been added for the first time in Super Mario Party. It has varying levels of difficulty and reminds me a lot of some of the Japanese rhythm games that you can find in arcades. The rhythm games are really fun and this is one of my favorite modes so far. It is also a mode that you can play solo without feeling like you’re missing out on the group game-play experience, or feeling like you’re getting screwed by computer partners who can’t communicate. In addition to Sound Stage, more modes have been added for the solo player. Challenge Mode is a linear mini-game challenge where one player must complete specific goals to proceed on the path. You don’t have to WIN the mini-game necessarily, but meet whatever the challenge demands, such as earning a particular point score. This is quite a challenge and it gets more difficult as you go! My favorite mini-game: “Slaparazzi”! Push/slap opponents out of the way so YOU can be the star of the photo! That’s not all, solo players! We can also play the new Mariothon as a single player (a quick mini-game tournament), and we can play it online as well! I didn’t delve into this mode too far yet, and the one online session that I did play [with random strangers] got disconnected, which isn’t fab. But maybe if you play it with your actual friends online it’s more reliable? Not sure. 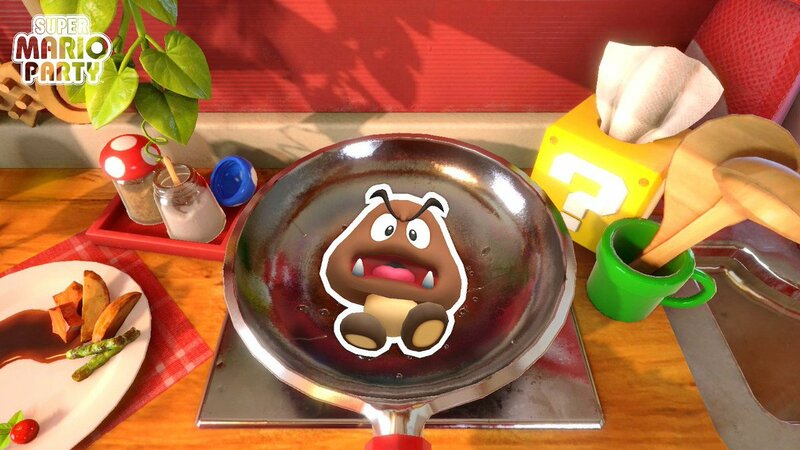 Goomba sticker doesn’t like getting fried in a pan. One last important mode to discuss: STICKERS! As you play all of the game modes in Super Mario Party, you earn points which unlock stickers, tips, music tracks, etc. to enjoy with the game. If you go down a certain warp pipe, you can ‘affix’ the stickers to different pre-made backgrounds and create your own fun scenes! As a sticker lover, I had to mention this because it’s cute and fun! And for all you Amiibo collectors, it’s vital for me to share that you can scan in figures from the Super Mario family to unlock SHINY stickers that you can use. Ooooooh…. shiny. We played at the Meet Up tonight and didn’t get any of the dual-Switch mini games at all!